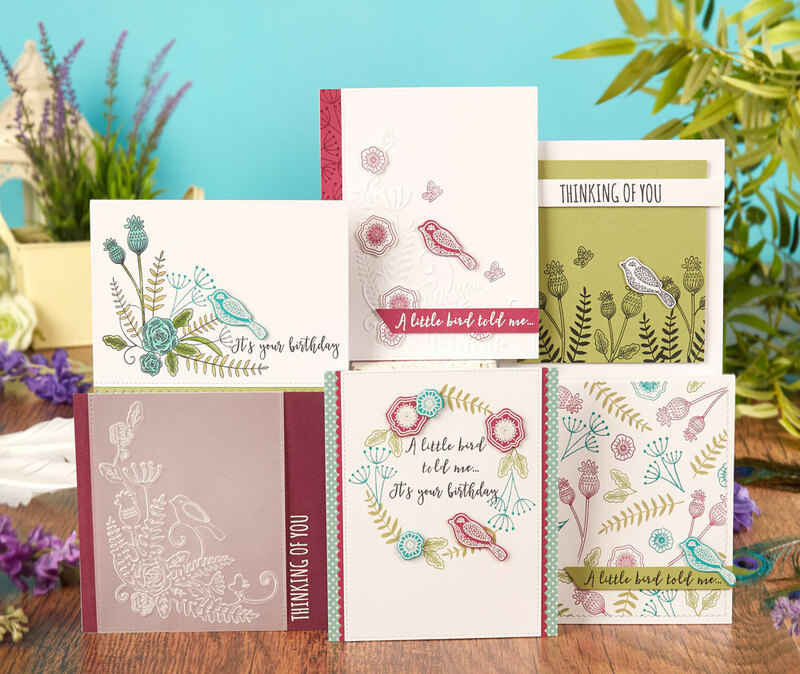 This issue of Simply Cards & Papercraft comes with a Songbird Blossoms gift which is a 3-in-1 set which includes an A6 embossing folder, 13 stamps, and 3 coordinating dies. These are perfect for making summer cards and also building your summer crafts stash! Look at this beautiful inspiration using the gift included in the issue! We love the versatility and how you can make ultra feminine cards as well as masculine. Join Janette as she shares a sneak peek of the issue! But HURRY! This offer expires 23/08/18.